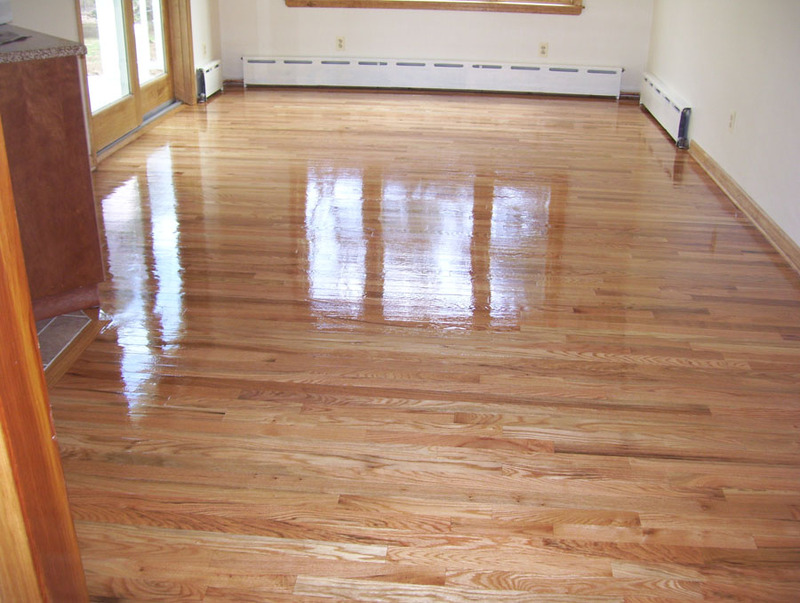 Are you in need of wood floor sanding in Rockland County, NY? At Majestic Floors, our expert wood floor contractors offer dustless wood floor sanding services for an affordable price. Our dustless sanding system is "99.9% efficient at capturing dusts as small as .5 microns". This means that you do not have to worry about covering up your walls, furniture, or other valuables before we come, because the dust usually associated with sanding projects will be siphoned off to a separate compartment that we will dispose of. If you have a hardwood floor, it is good that you do wood floor sanding to maintain the durability of your floors and also maintain the beautiful look of your home. Majestic Floors specializes in these kinds of services. Our expert floor contractors have the experience to complete the job with reliability in a timely manner. Wood floor sanding is removing the top and the mostly rough surface of a wooden floor by sanding with a rough material. This process is done in three separate stages, preparation, sanding and coating. Majestic Floors uses a specialized machine to significantly cut down the dust associated with this process, including the polyurethane dust which can cause severe allergic reactions and even respiratory problems. Our wood floor contractors begin wood floor sanding in Rockland County, NY by sanding the farthest corner of the room away from the door. We then load the sander with the suitable grit sandpaper and start the sanding process by moving along the grain on the floor one row at a time. After we are done with the center, we will sand the edges and the corners. After the sanding process is finished, the coating process commences. You can also use a screening paper to buff the floor. Buffing will help smooth the rough surfaces that feel rough after the sanding process. You can also choose change the color of your floor by staining, but this is not a must. For more information about our wood floor sanding in Rockland County, NY, call Majestic Floors today. Majestic Floors- Your source for wood floor sanding in Rockland County, NY! 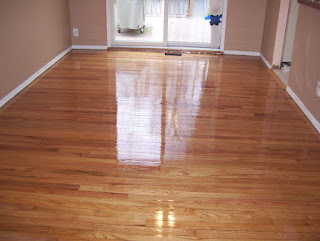 Are you looking for wood floor refinishing in Mahwah, NJ? Wood is a common choice for flooring due to its durability and the ability to be restored. However, over time, you may notice that your wood floors become scuffed, or loose their sheen. When your wood floors need to be rejuvenated, choose Majestic Floors for wood floor refinishing in Mahwah, NJ. 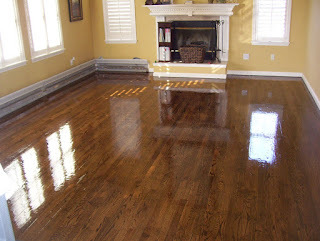 Majestic Floors performs expert wood floor refinishing in Mahwah, NJ. Our trained wood floor specialists have the experience to work without delay to restore the wood floors in your home to their original appearance. With wood floor refinishing, your home will benefit from more natural light, less dust and dirt particles, and a smooth surface. 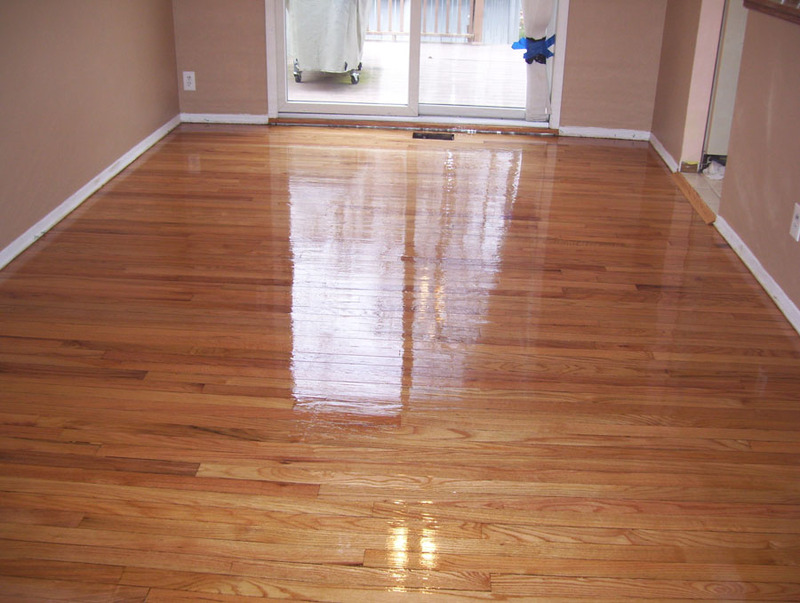 Our refinishing service will add years of use to your wood floors without having replace them. Time can wear down a hardwood floor and leave it showing signs of damage. These include cracks, splits, peels, fading, and more. We will come to your home, and in no time at all, bring new life to your floor boards with professional wood floor refinishing in Mahwah, NJ. All without bringing out a stock of new boards from the truck. Part of the beauty of our hardwood refinishing is the many color and style options that we have available. With our vast array of wood stains, you can change the scheme of your wood floors without having to replace them. Consider wood floor refinishing in Mahwah, NJ like your floor's regular check-up. These boards are incredibly versatile under normal conditions. But after a little elbow grease, they can become virtually indestructible. Enamel, coating, and other protections will keep your floor in its current, gorgeous state for longer than you ever imagined. For more information about wood floor refinishing in Mahwah, NJ, call Majestic Floors at (201) 739-1145. Majestic Floors- your source for wood floor refinishing in Mahwah, NJ! Sanding is an important step in the process of finishing your wooden floors. Before you can begin making your floors look brand-spanking new by applying a glossy finish, you must first remove all imperfections in the surface with wood floor sanding in Edgewater NJ. Majestic Floors rejuvenates the appearance of your floors. Our expert wood floor specialists are knowledgeable on the various types of wood commonly used on floors, how to treat each, and how to restore their appearance without delay. Our affordable wood floor sanding in Edgewater NJ elevates your home's aesthetic without breaking your budget, giving you stunning results in your wood floor to enhance home appeal, value, and quality of living. While this may sound like an arduous task, it is fairly straightforward. Intricacies in each wood type can pose problems when considering DIY wood floor sanding in Edgewater NJ, and should be left to the professionals to ensure positive results. Before we begin sanding, it’s important to prepare the room. Remove all furniture, including pictures and curtains, as well as doors and shoe base. If you’re ripping up carpet, remember to remove carpet staples, too! It’s important to make sure that you are working in a well-ventilated room, but that the fumes and dust do not spread to the rest of the house. Be sure to cover up vents with plastic and open the windows wide! Once your room is successfully prepped, we're ready to begin wood floor sanding in Edgewater NJ! We use advanced wood sanding equipment, efficient at capturing up to 99.9% of dust particles as tiny as .5 microns. Once we are completed, you benefit from little cleanup or finding dust around the room after we leave. Because we are committed to your satisfaction, we ensure that your room will be ready immediately upon our completion - no cleanup necessary! For more information about our expert wood floor sanding in Edgewater NJ, call Majestic Floors at (201) 739-1145. There’s nothing nicer than the smooth feel and the bright gleam of freshly completed wood floor refinishing in Bergen County NJ. However, maintaining this clean new look can take a lot of work. Wooden floors, which can make a house look fresh and open, wear out after a few years. You’ve probably seen floors like this: they’re uneven and unsightly, their gleam long replaced by dullness. Majestic Floors achieves remarkable results by using expert methods, dustless equipment, and years of experience on every wood floor project. We strive to meet your complete satisfaction, performing wood floor refinishing in Bergen County NJ without delay so you can admire you new floor sooner. With our dustless methods, we further reduce clean-up time with equipment that is 99.9% effective at capturing dust particles as small as .5 microns. When you are looking for expert wood floor refinishing services at a price you can afford, call Majestic Floors. Luckily, refinishing wooden floors is a fairly straightforward process, one that can be achieved by our professionals without delay. Before you begin, however, it’s important to understand what kind of finish will be best for your floor. If your existing finish has not completely worn off, you may only need to re-coat your floor. To do this, you do not have to sand down your entire floor, only remove the top layer of scratches. If your floor is in need of complete wood floor refinishing in Bergen County NJ, however, you will need a deeper sanding. When you speak with our specialists, we will offer you options for your floor and effective remedies to cosmetic and functional problems you are having with your wood floor. Once everything is dry, we will refinish your floor with either water- or oil-based polyurethane. Water-based polyurethane dries more quickly, but oil-based materials give floors a soft amber sheen that many find highly desirable. Our professionals recommend three coats of an oil-based finish, or four coats of a water based one. Because of the ease in which it can be to make a mistake, we suggest leaving wood floor refinishing in Bergen County NJ to the experts. Before you know it, the hard work will be over, and your floors will be looking brand new! For more information about wood floor refinishing in Bergen County NJ, call Majestic Floors at (201) 739-1145.